grilling Archives | Peak Performance: A realistic approach to nutrition. Peak Performance: A realistic approach to nutrition. 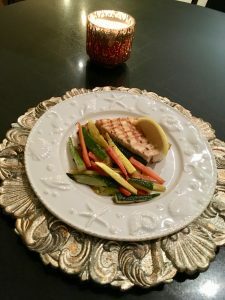 Whether you are grilling indoors or outdoors, enjoying swordfish and fresh cut veggies are quick, easy, and nutritious! 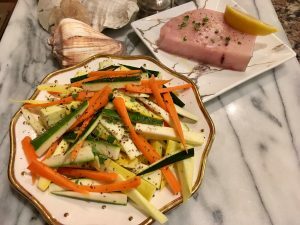 Grill swordfish and vegetables for around 10 minutes, every grill is different, therefore watch the food carefully. The recipe makes 2 servings. Nutrition Data Per Serving.